You are currently browsing the Carters Crypt blog archives for June, 2013. Explore love among the monsters in stories of romance, fantasy, and horror. Meet werewolves and vampires, a wandering ghost, and eldritch creatures from an alien dimension. A stray cat receives the gift of speech on Christmas Eve and uses it to help a runaway teenage girl. An expert thief accepts a job from an evil wizard to save her brother, and a sorceress goes on a mission to rescue a noble maiden captured by a beast-man. A fantasy fan trying to get over the death of her fiancé embarks on a quest in the magical virtual world of a computer role-playing game with a man who fascinates her even though they have never met in the flesh—and they get trapped inside the game. These heroes and heroines confront hard-won truths about themselves at the border between human and nonhuman. Twin sisters Cordelia and Miranda know nothing about the mother who abandoned them soon after their birth. When their father dies and Miranda insists on tracking down their mother, the sisters discover the dark heritage in their bloodline. Their mother is a vampire, and from her they have inherited certain psychic powers. When Miranda disappears, Cordelia has to seek help from Karl, an old family friend. Unknown to her, Karl, a vampire, has been watching over her family for generations. He loved a distant ancestor of theirs, and Cordelia bears a compelling resemblance to his lost love. 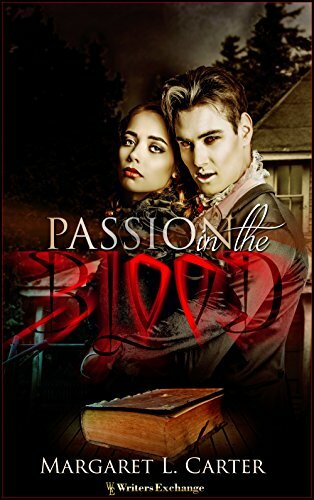 A would-be vampire slayer has kidnapped Miranda to strike at Karl through the family he has vowed to protect. At the same time, their mother’s brother, who scorns humanity as an inferior species, has his own agenda for his half-human, half-vampire nieces. Karl and Cordelia must join forces to save her sister. In the process, they form a blood bond that leads to deeper intimacy than either one expected. Cordelia struggles with both her dawning love for Karl and the exhilaration and terror of embracing her inhuman side. Sequel to “Tentacles of Love”: At a friend’s wedding, bridesmaid Roxanne can’t wait to meet her mysterious email pal, Wilbur, the groom’s reclusive brother. To her shock, he proves to be truly out of this world—an amorphous, six-foot-tall collage of scintillating tentacles and eye stalks. His half-alien ancestry doesn’t keep her from being thrilled by what those tentacles can do!